1. Gipertenziya vo vremya beremennosti. Preeklampsiya. Eklampsiya. Klinicheskii protokol. FGBU «NTs AGiP im. akad. Kulakova». Minzdravsotsrazvitiya Rossii. Institut Zdorov'ya sem'i. Proekt «Mat' i ditya» [Hypertension across Pregnancy. Preeclampsia. Eclampsia. Clinical Report. FSBI “V.I. Kulakov Research Center for Obstetrics, Gynecology and Perinatology" Ministry of Healthcare and Social Development of the Russian Federation. Institute of Family Health. Project “Mother and Child”]. Moscow, 2012. 44 p.
2. Diagnostika i lechenie serdechno-sosudistykh zabolevanii pri beremennosti. Natsional'nye rekomendatsii [Diagnosis and Treatment of Cardiovascular Diseases across Pregnancy. National Guideline]. Moscow, 2010. 40 p.
3. Ailamazyan E.K., Mozgovaya E.V. Gestoz: teoriya i praktika [Gestational Toxicosis: Theory and Practice]. Moscow, MEDpress-inform, 2008. 272 p.
4. Glotov A.S., Vashukova E.S., Kanaeva M.D., Kurilov R.V., Bikmullina D.R., Zainulina M.S., Ivashchenko T.E., Baranov V.S. Zhurn. akush. i zhen. boleznei = Journal of obsterics and women diseases. 2012; 3: 61–68. 5. Volkova E.G., Bogdanov S.V., Zhavoronkova E.Yu., Kovalenko D.B. Arterial'naya gipertenziya = Arterial hypertension. 2008; 4(4): 10–15. 6. Sinitsyn S.P., Chulkov V.S., Vereina N.K. Arterial'naya gipertenziya = Arterial hypertension. 2009; 15(5): 580–584. 7. Tkacheva O.N., Bevz A.Yu., Chukhareva N.A., Novikova I.M., Sharashkina N.V. Farmateka = Pharmateca. 2010; 9: 44–51. 8. Savel'eva I.V. Ross. vestn. 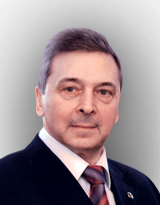 akushera-ginekologa = Russian bulletin of obstetrician-gynecologist. 2010; 2: 28–31. 9. Makarov O.V., Volkova E.V., Ponimanskaya M.A. Lechebnoe delo = Medical care. 2011; 1: 49–55. 10. Sidorova I.S., Nikitina N.A., Unanyan A.L., Rzaeva A.A., Kinyakin V.V. Akusherstvo i ginekologiya - Obstetrics and Gynecology. 2013; 2: 35–40. 11. Sukhikh G.T., Vikhlyaeva E.M., Kholin A.M. Terapevticheskii Arkhiv = Therapeutic Archive. 2009; 10: 5–9. 12. Nakayama T., Yamamoto T. Comparison between essential hypertension and pregnancy-induced hypertension: a genetic perspective. Endocr. J. 2009; 56 (8): 921–934. 13. Valenzuela F.J., Pérez-Sepúlveda A., Torres M.J., Correa P., Repetto G.M., Illanes S.E. Pathogenesis of preeclampsia: the genetic component. J. Pregnancy. 2012; 632732: Epub 2011 Dec 1.